The need for this discussion becomes urgent, especially as regards the stimulation of the extension of the economic life of the fields, avoiding premature abandonment and encouraging the full use of resources. Additionally, as more investments can be made in these areas, the recovery factor of the fields increases, avoiding to leave underground proved reserves. With this, FGV Energia opens the door to this discussion that will involve MME, ANP, PPSA, ABESPETRO and Firjan, among other stakeholders. 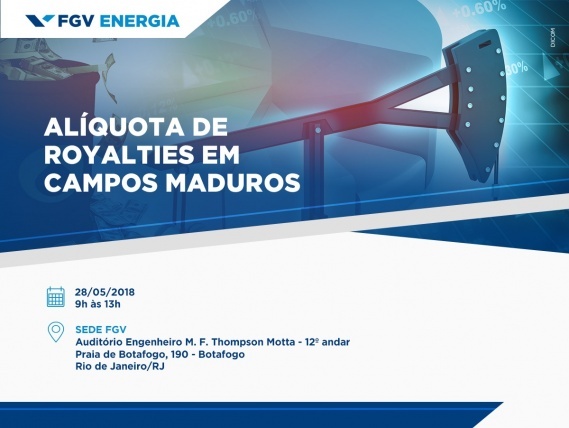 The Seminar will happen on May 28, 2018, in the auditorium of FGV, Praia de Botafogo, 190 / 12º floor, at 9am. Extension of the productive life of land and sea fields as well as the use of opportunity for Greenfield projects.